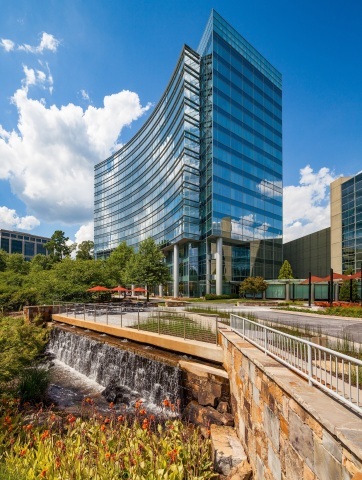 ATLANTA--(BUSINESS WIRE)-- Columbia Property Trust, Inc. (NYSE: CXP) announced that it has signed a new 161,000-square-foot, 12-year lease with Arby’s Restaurant Group, Inc., which will relocate its national headquarters to Columbia’s Three Glenlake office building in Atlanta’s Central Perimeter submarket. The 355,000-square-foot Three Glenlake building is currently 100 percent leased by Newell Brands until March 2020. Newell has agreed to give back 161,000 square feet, or approximately 45 percent of the building, in January 2019 in order to accommodate Arby’s new lease, which commences in August 2019 and runs until September 2031. Newell will continue to lease the remainder of the building through March 2020. Three Glenlake is part of a two-building, Class-A office campus owned by Columbia that enjoys a high-visibility location at the intersection of Georgia 400 and Abernathy Road. Columbia completed a $3 million renovation at the adjacent One Glenlake building earlier this year that included a lobby renovation and fresh concept café onsite, as well as enhancements to outdoor common areas shared by both buildings. The improvements have been well-received, helping to attract Arby’s to the campus and driving nearly 100,000 square feet of leasing at One Glenlake, which is now 99 percent leased.